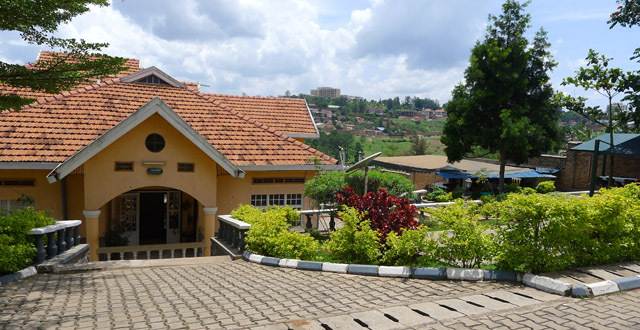 Resting on the side of the Kiyovu hill, tranquilly removed from the busy city beneath, Heaven Restaurant does unquestionably offer one of the best views in Kigali. 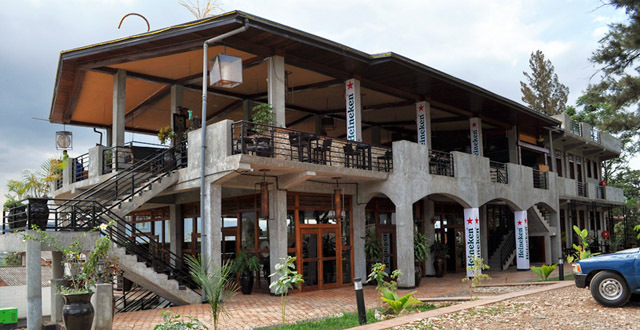 Since 2008, the restaurant has been striving to combine a high-quality dining experience with a true feel of Rwanda. Heaven recently welcomed a Spanish chef onto their cooking staff, and are willingly (and wisely) letting him create mouthwatering specials on a week-to-week basis. Though the original menu remains unaltered, the waiters will be more than happy to present a handful of additional starters, main courses and desserts, so do take the time to listen. 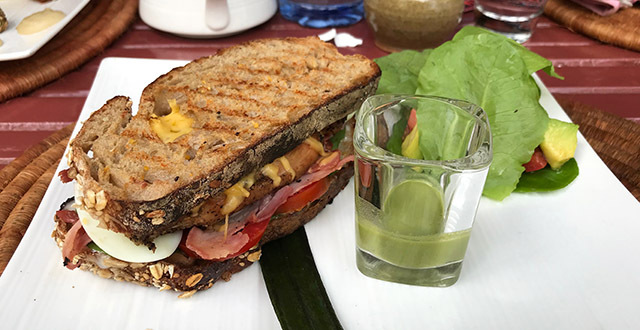 Unlike many other restaurants in Kigali, Heaven swears to the concept of ‘small, but good’, which we (after considering it) fully agree with. How may times have you not been presented with a ten-page menu, only to be told by the server that the restaurant are out of at least half of the items? Well, at Heaven you will at least always get want you want, and they never run out – which possibly is the very definition of ‘heaven’. As expats first arriving in Kigali, we all had the same reaction toward costumer service: Where is it? 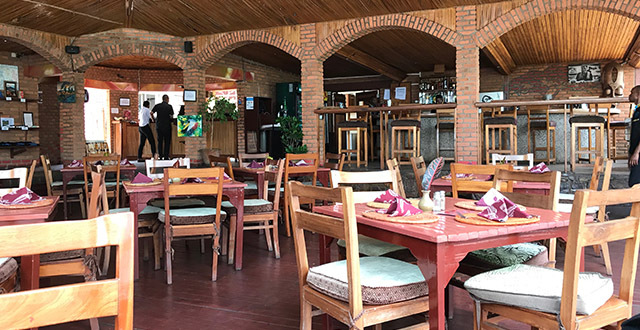 Though most of us have no problem adjusting to the Rwandan way (read: slow), it is a wonderfully nice change to be able to go out to dinner and have everything run smoothly. The staff at Heaven must be one of the nicest and friendliest in the city. As soon as dusk falls, a waiter will be there with a candle; when the first chill hits you, a waiter is there to offer you a blanket. Even the owner makes a point out of welcoming and assisting every group at the restaurant – a true sign of dedication to excellence. Few places can pride themselves with a view like Heaven Restaurant. If your budget does not allow a full dinner, why not unwind with a glass or three of wine (happy hour runs every day from 5 to 7 pm), and perhaps a starter? We have often found ourselves completely alone here on a weekday afternoon, and when you get over the uncomfortable pressure of being the only costumers, it really can be quite nice to have the whole terrace to yourself. The moon rests in clear view from your seat, having replaced the sun that just set in front of you. Quite romantic. The warm presence of well-trained staff is of course a crucial component to uphold the serene atmosphere that we associate with Heaven Restaurant. One thing we do find annoying from time to time, is the inconsistent music. As big believers in the importance of music to set the right tone, we are curious as to why they don’t invest more time on their playlists. Often, they will change the song mid-track, or put one particular song on repeat. The other day they were playing country music, which though it seemed to please the bartender, did not exactly match the Rwandan hillside views. 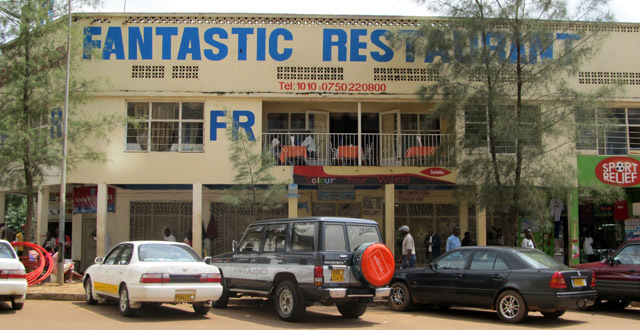 Prices range between Rwf 8,000 to 14,000 for a main course, which indeed is a bit stiff. Yes, the delicious food and tranquil ambiance is worth it, but it still throws a lot of the non-UN expats off. 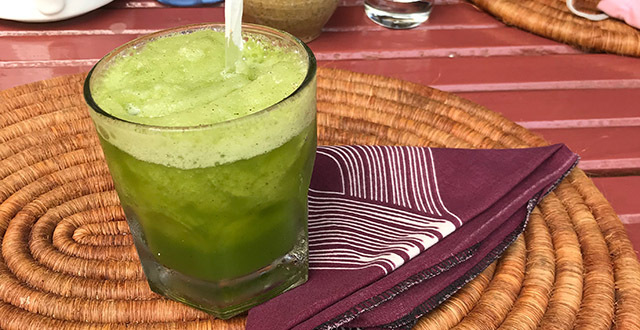 The cocktails (among them the famous Heaven Mandarine Mojito for Rwf 6,400) are some of the in town and worth the price. When you have the money though, please attempt to treat yourself and your loved ones (read: the people you randomly ended up in a house with), to an evening of heavenly bliss – it might very well repair your soul after a stressful day in Kigali. …a beautiful place for an afternoon drink or a delicious (albeit pricey) dinner, surrounded by friendly staff and locally made crafts. A must to try out at least once. 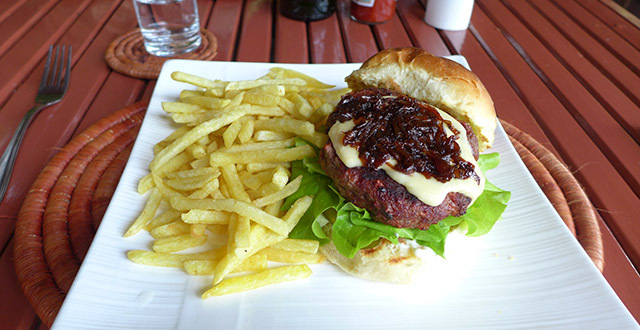 Visit Heaven Restaurant & Bar’s website to find their entire menu and list of events. Although the food is good the service charge of 10 % is a bit exagerated! Bit of a shock when the bill arrives. Nightmare for your purse… ok food in my opinion and why charge so much for service? The place is already expensive and then you add up the service fee which you obviously have to pay. It is overprised for the food you get, but it is a marvelous spot to sit. I think the place is overrated and overglorified in this review…a bit biased in my opinion. Service is pretty good, great view, and you can actually get some really yummy dishes. BUT, it is overly expensive, you do not get what you pay for. “…but to accommodate long-term residents or local upper-class, there are still steps to be made…”: I totally agree! Unless they prefer to keep it an “Expats only” spot? ?